The market for Tahoe City real estate (including the West Shore) has a wealth of scenic and natural beauty upon which to capitalize. Lake Tahoe's West Shore is home to the iconic cabins and communities that so many people remember fondly from the family vacations of yesteryear. Buying and selling of houses here is always tinged with no small measure of nostalgia, and proximity to both the rocky wilderness areas of the Sierra to the west and the lake to the east make this area highly valued for outdoor enthusiasts. In the northwest quadrant of Big Blue, West Shore and Tahoe City real estate centers upon a unique geographical feature. Although dozens of tributaries feed into Lake Tahoe, there is only one place that water flows out, and that happens to be at Tahoe City. Fanny Bridge is a notable landmark (ask any local about the origin of the name! 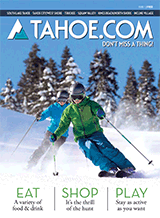 ), and the Tahoe City area is known for being highly regarded among real estate professionals. The mix of fun and touristy businesses combined with the strong sense of community makes it a one-of-a-kind place to own or rent a home. In many ways, the properties of the West Shore and Tahoe City real estate inventory are among those that are truest to the historic spirit of the Lake Tahoe Basin. Homes that are within the West Shore and Tahoe City real estate area also fall within the boundaries of the Tahoe Truckee Unified School District. Students who live on the West Shore of Lake Tahoe from Emerald Bay north join the Tahoe City students at the elementary, middle and high school located at Tahoe City. Higher education opportunities are available nearby at Sierra Nevada College on the North Shore or at various post-secondary institutions down the hill in Reno, Nevada.